Savannah has so many great, old, historical attractions to visit, but one that I really enjoyed while filming our first season was Old Fort Jackson. Overshadowed by the much larger Fort Pulaski, just a short drive away, Old Fort Jackson lets you skip the 3rd grade class tours, and wander the grounds peacefully. Don’t hold me accountable if there happens to be a 3rd grade tour there when you go – I have no idea what the schools do in Georgia. I love how everyone knows this Fort as “Old Fort Jackson” when technically it’s Fort James Jackson. Even the city just added the “old” prefix to it, ’cause that’s what it is…old, and it just sounds more Southern this way. James Jackson was a British born soldier who fought for the Colonies in the American Revolution. As a colonel, he accepted the surrender of the British in Savannah. So, no, it has nothing to do with Andrew Jackson, although you’d be forgiven for thinking that was a possibility. 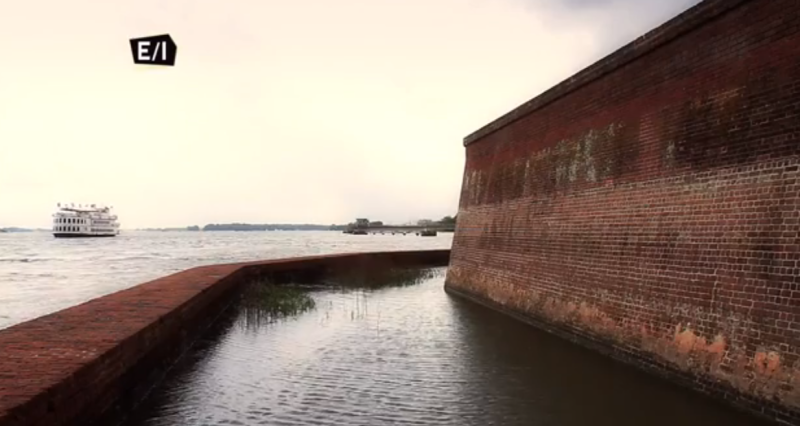 The fort was part of Thomas Jefferson’s coastal defenses set up between 1808 and 1812. There was growing fear that we would wind up at war again with the British (we did), so this fort was created to protect the Savannah harbor. It replaced an old earthen battery from the Revolution. 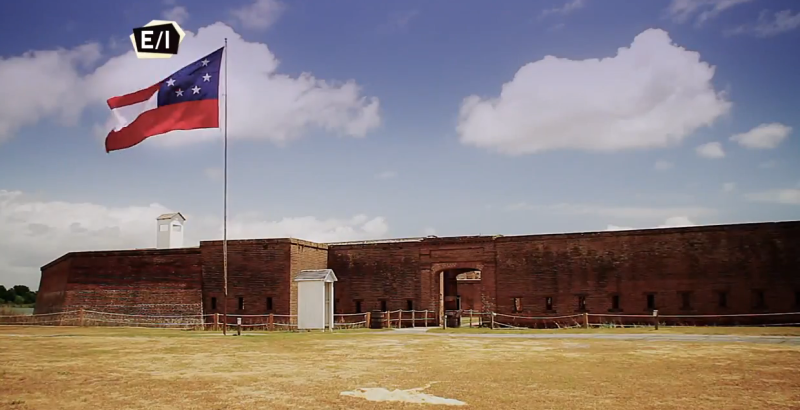 The fort flies a very large original confederate flag known as the “stars and bars” – one that most today don’t recognize as a symbol of the confederacy due to the later adoption of Lee’s Army of Northern Virginia flag aka the rebel flag. Bonus factoid: It is a common misconception to refer to the rebel flag as the “stars and bars.” The rebel flag is synonymous with the Confederacy despite never having historically represented the CSA as a country nor officially recognized as one of the national flags. During the Civil War, the fort was taken by William Tecumseh Sherman’s Union forces – who came by land instead of by sea. Today, the city owns the fort and we were there during the tall ships challenge. Tall sailing vessels sailed right by the fort, in range of its guns, with a live fire demonstration by reenactors – who showed the crowd how war was fought during the fort’s glory years. Today Old Fort Jackson is run by the Coastal Heritage Society, which administers the Railroad Museum and the Savannah State History museum as well. Admission is $7 for adults. I’d suggest you take a stroll if you’re in the neighborhood. Co-creator of the Travel Thru History television series. Executive Producer at Infrared Creative.